The most important stages for your dog is during puppy hood. Our classes aim to create a well mannered and calm dog. Our obedience classes take place on a Monday evening in Luton and we also run classes on a Saturday morning in Slip end. . Our classes are on going so for those of you that want to take your training further, you can just carry on without any breaks inbetween. We often have class walks and outings. Classes are kept small to make sure everyone gets individual attention. Some of the things that I will be teaching will be recall on and off lead, inside and outside, walking nicely on a lead (heel work) food manners, Basic positons, sit, down, stand, stay, wait, controlled play, controlled greeting with other people and dogs, leave it, good manners and much more. We run our own tests where you will receive your puppy certificate after 6 weeks upon completing all the exercises on our sheets, you will then go on to receive our bronze, silver, gold and our top award is the Platinum. Classes are paid for in blocks of 6, but the classes are on going! You will be asked to complete training activities in between classes to get the maximum benefit from your course with us. Course fees are non- refundable, Unless the course is cancelled. Please give us a call for more information. All pups must have an up to date vaccination booklet, which will be need to shown at your first lesson. 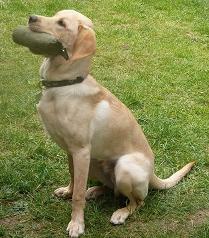 We encourage the use of toys,titbits, vocal and physical praise to reward our dogs. We do not allow check chains or half checks in our classes. Please bring a toy for your dog to classes, ideally one that will fit in your pocket, no squeaky toys please, a blanket or small bed, a dogs brush and some high value titbits. Please bring these to every lesson. (high value titbits are things like ham, cheese, hot dogs, liver, chicken) All titbits/treats need to be cut up small. All pups and dogs need to wear an id tag with your surname on, your address and postcode. This is not our rule, it is the law, I always recommend adding a contact phone number. If you have a long 5 or 10 metre line please bring that to classes too, but no retractable leads thank you. Please make sure that your dog or pup is wearing a soft collar or harness and a soft lead. We offer one to one and home visits for dogs and puppies. A pre- Puppy Visit is a good way to make sure that your puppy grows into an obedient, well mannered, people & dog friendly dog. This can be done before the puppy has had their vaccines. During this session I will guide you through your first few months with your puppy, covering toilet training, mouthing, socialisation, crate training, feeding and many other things. Booking a puppy 1-2-1 session enables you to get those basics right from day one, allowing you to start the way you mean to go on. Our one to ones at your house will last 2 hours, but if you book one at our venue, then they will last one hour. Home visits and one to one lessons are available most days. A home visit can often over come any problems you may be having at home with your dog or young puppy. These visits are the best times to talk about basic exercises with your dog and discuss his/her future training. By teaching your pup good manners from the start we can avoid many unwanted behaviours later on. I will show you how to do this. It is much easier if we start the way we mean to go on, prevention is always better than cure. A Puppy Visit is a good way to make sure that your pup grows into an obedient, people and dog friendly well mannered dog. We can also offer you a one to one at one of our venues. We will travel to Bedfordshire, Buckinghamshire & Hertfordshire. We also cover many other areas that are in a 2 hour driving distance from Luton, so if you're not sure if we cover your area, give us a call or check out the "areas covered tab" on this website. 1-2-1 sessions with older dogs are held either in your home or in a safe environment depending on the issue. 1-2-1 sessions are ldeal for specific training problems, things like barking, pulling on the lead, poor recall, jumping up, chasing joggers, bikes, footballs, selective hearing/ ignoring you, separation anxiety, retrieving, fears and phobias,destructive behaviour, socialisation, crate training, door control, food manners, reactive to other dogs, people or anything else. We can help with many other unwanted issues. These sessions are also ideal for anyone that prefers individual training sessions. During this session I look closely at the relationship between the owner and the dog. When you call I may suggest that you take your dog to your vet for a check up to make sure that there is no medical problem that may be causing the unwanted behaviour. It will depend on what issues you are having. When I arrive at your home I will first collect a history, before even meeting your dog, once I have done this, I start working with you and your dog. After your one to one, you will receive a typed report within 24 hours. 1-2-1 sessions and home visits can be done before your puppy has had his vaccines, enabling you to get a head start with your puppy. For prices please contact us via phone. If you think you have only a couple of issues and would prefer not to attend classes with an older dog, then a one to one would be an option where we could work on just the issues you want to work on. Our 1-2-1 sessions are tailored to the specific need of yourself and your dog. As mentioned above this 1-2-1 can be held at your home, park our our venue. After our 1-2-1 please remember nothing happens over night, so expect a lot of hard work and commitment on your part in order to improve your dog’s behaviour. Keegans knines will be here to support you every step of the way. For more information or to book your lesson, email us or give us a call. Please note that we do not wish to receive any telesales or marketing messages via phone or emails. as well as how to walk your pup nicely on a lead. It is much easier if we start the way we mean to go on, prevention is always better than cure. Please note that we do not wish to receive any telesales or marketing messages via phone or our contact form. This form is for customers that wish to enquire about Keegans Knines services only. Please respect our wishes thank you.